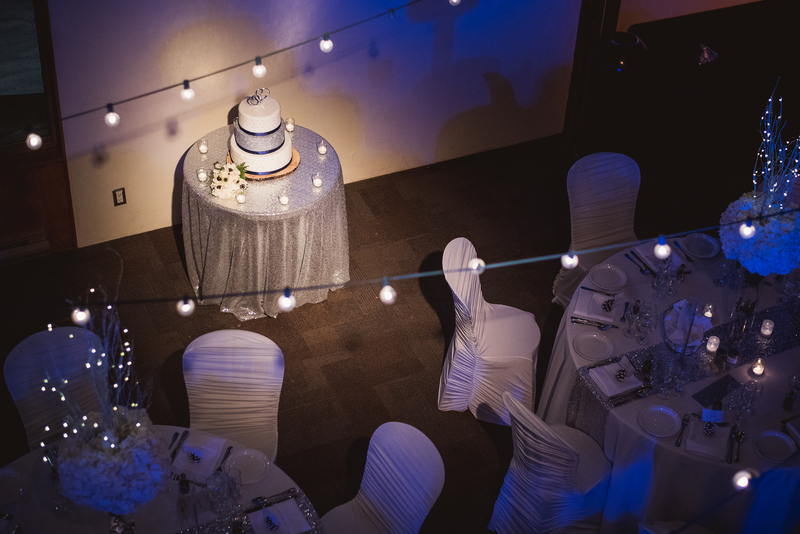 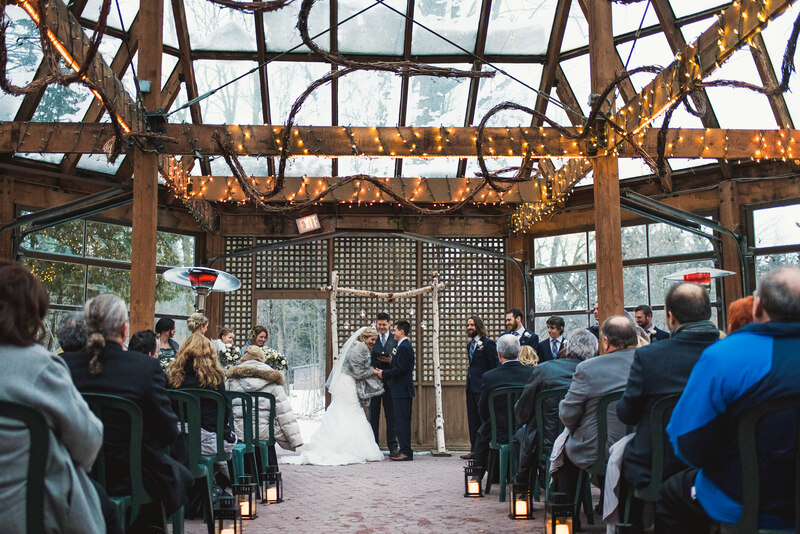 In Canada, a good majority of weddings take place indoors – even in the summers. 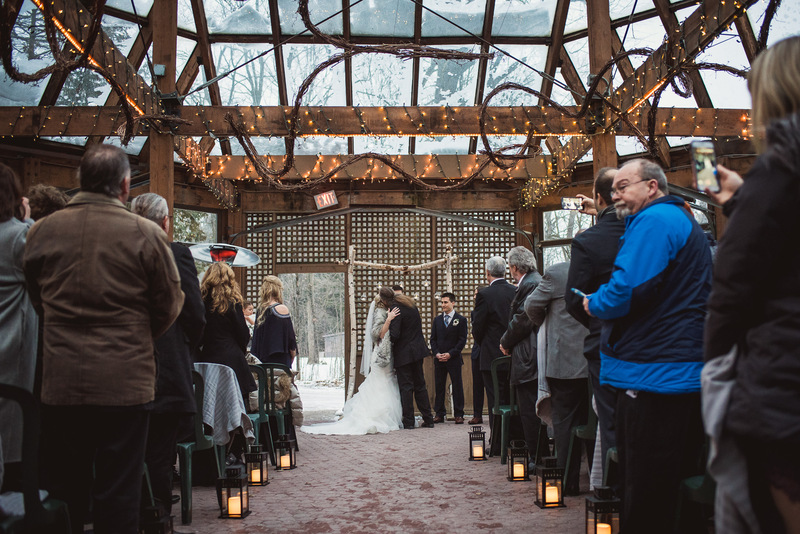 Sure, those fancy California weddings look amazing in bridal magazines, but we just don’t have the type of hot and dry climate where couples feel comfortable planning a wedding that is totally outdoors. 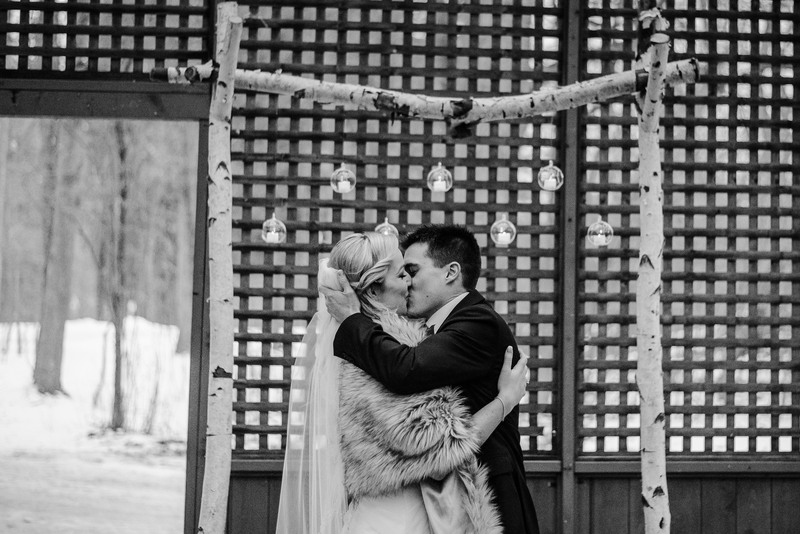 But every now and then a couple comes along who breaks the mold – and we love that. 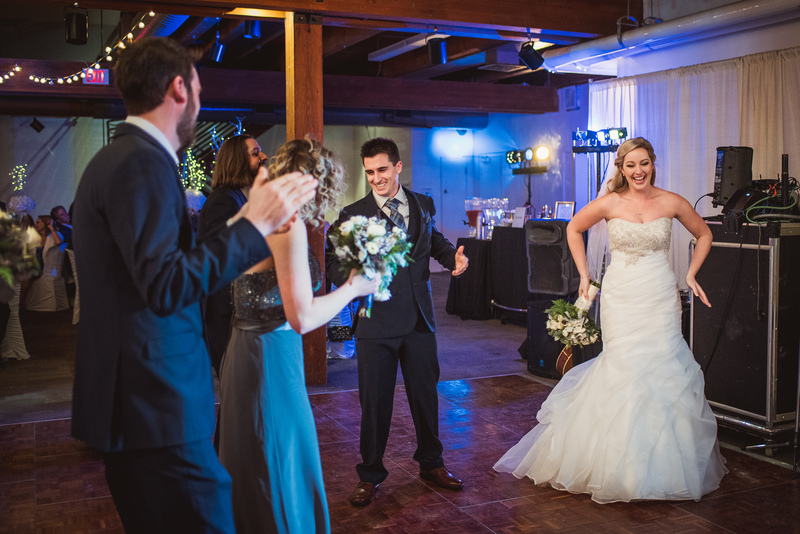 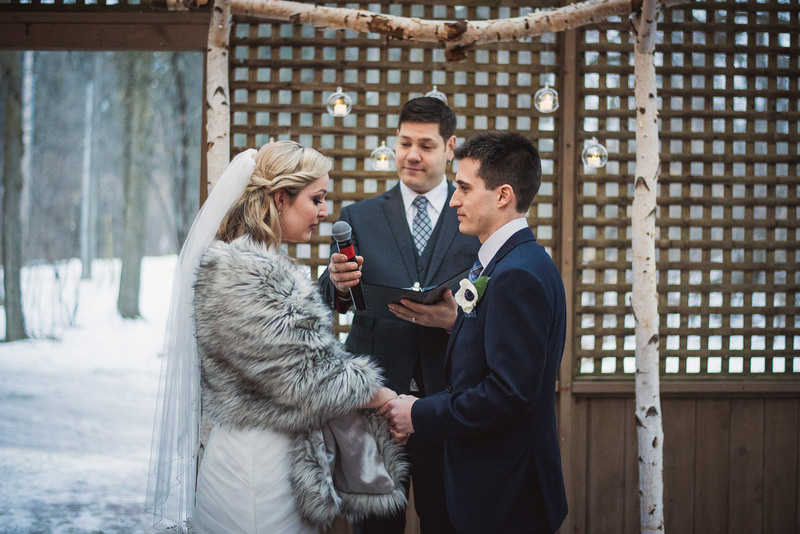 When couples are willing to take risks it makes the artistic part of our souls come alive and that’s exactly what happened with Ashley and Ryan’s Kortright Center winter wedding photos. 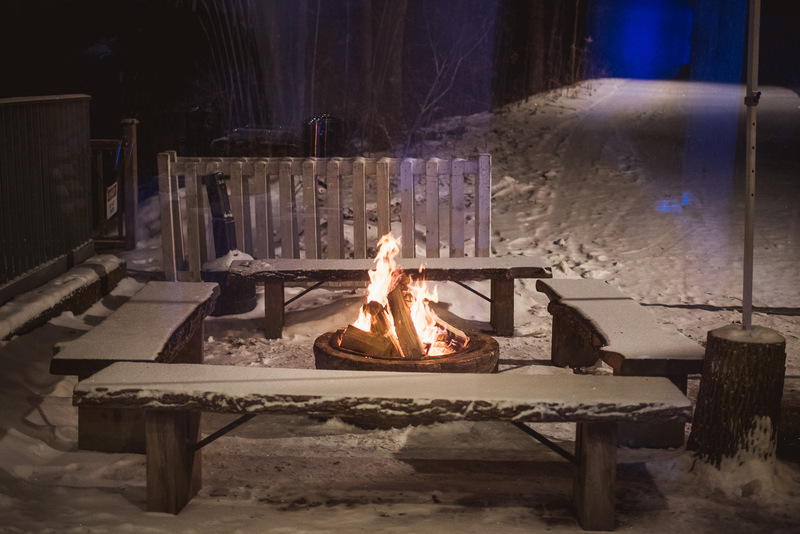 Yes – an outdoor conversation area… in the winter. 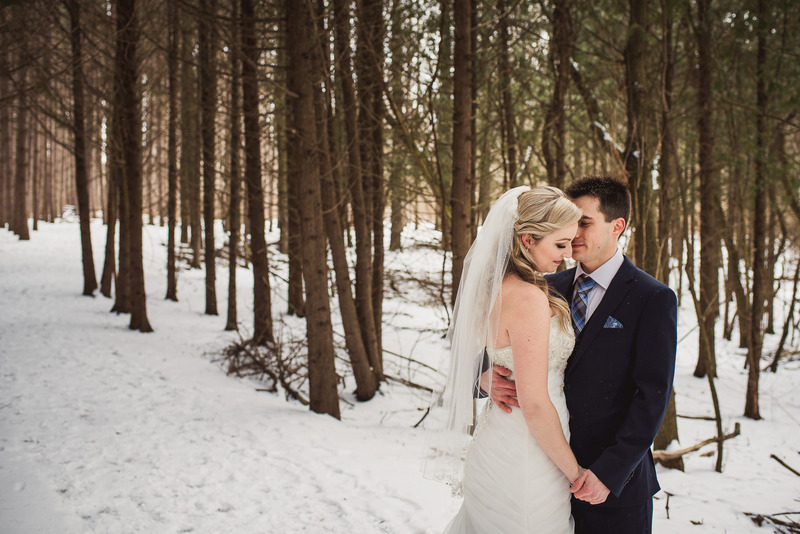 We’ve been to the Kortright center before – in the winter – and we were thrilled to do it again! 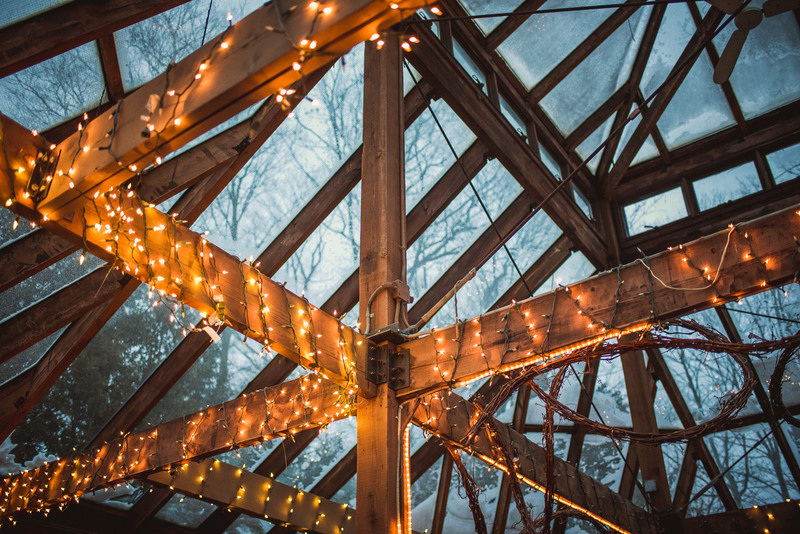 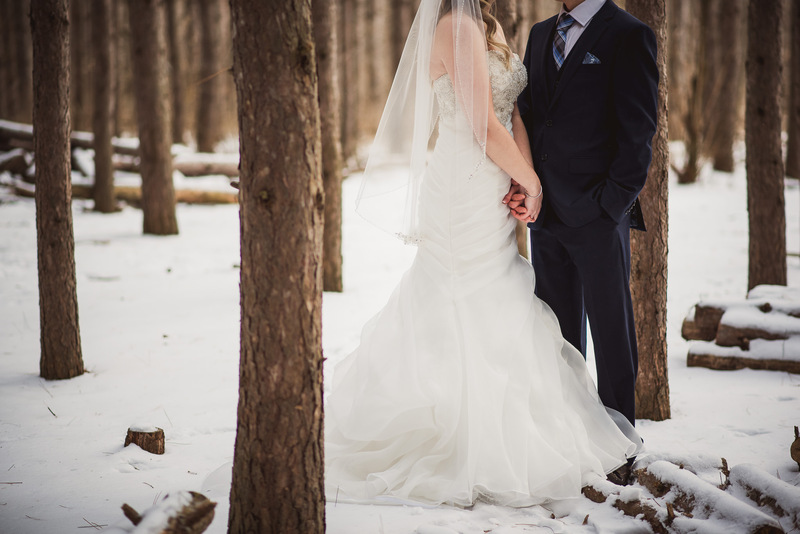 The Kortright center is the perfect place for a winter wedding in Toronto – it’s literally a magical backdrop here in our very own backyards! 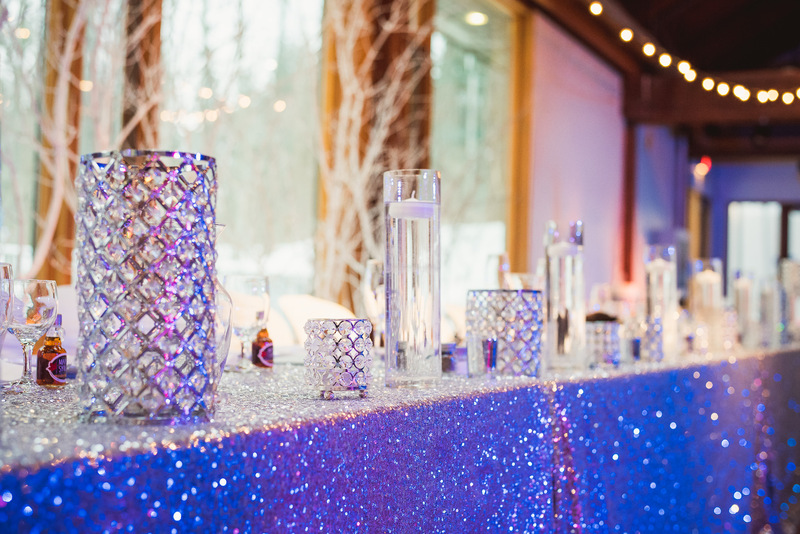 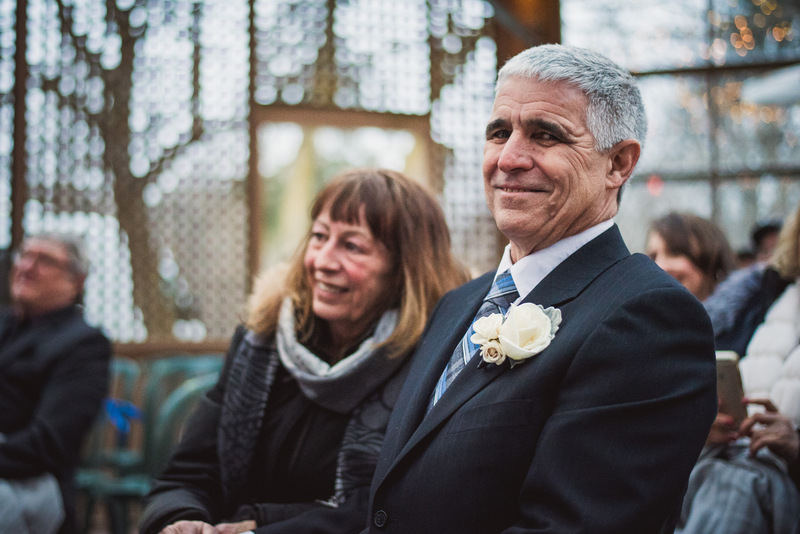 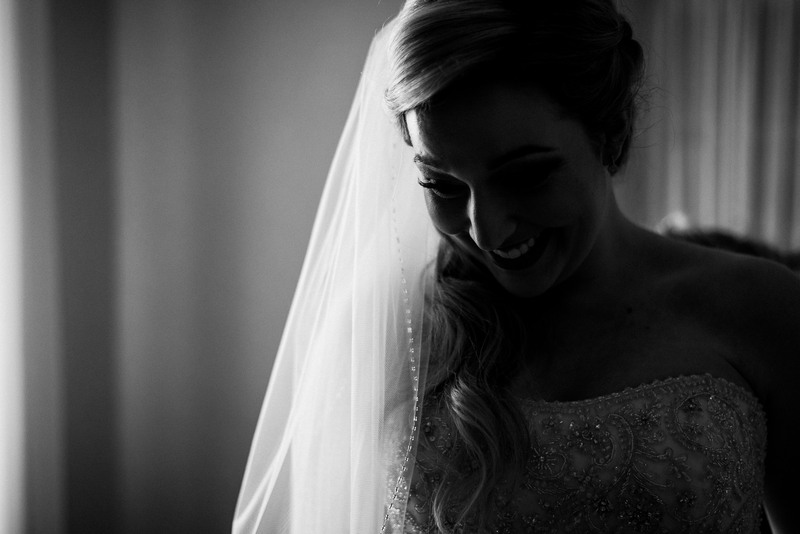 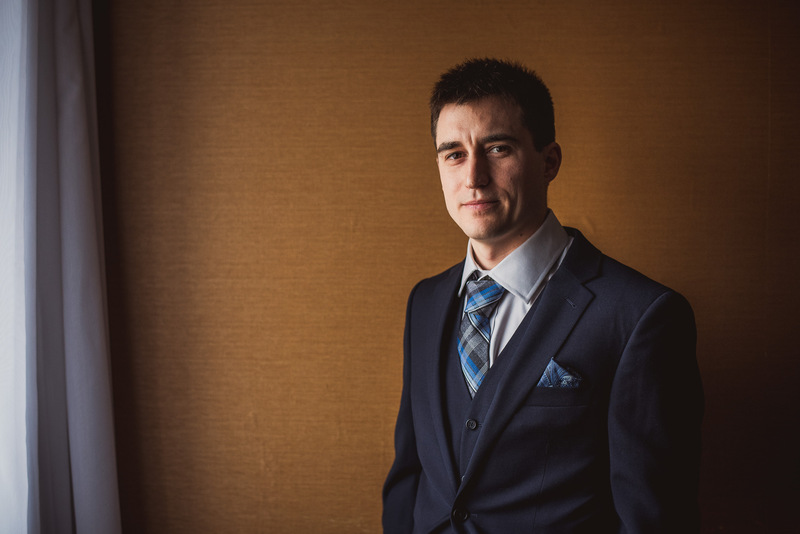 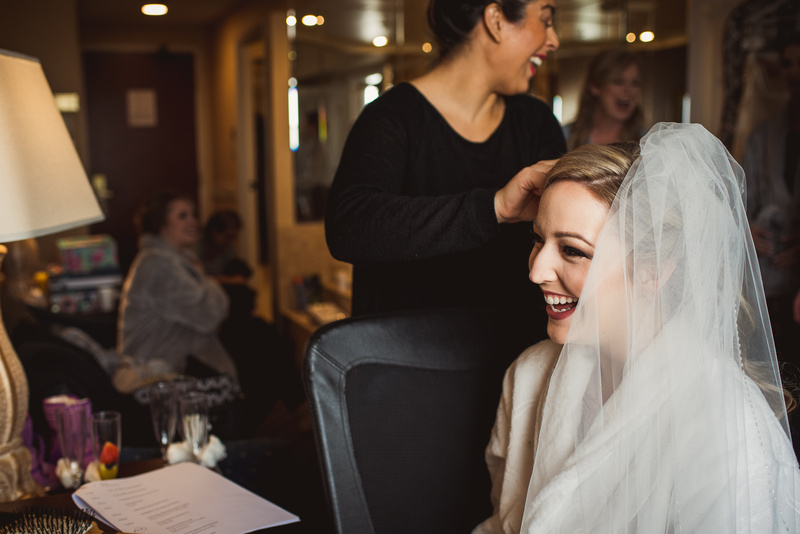 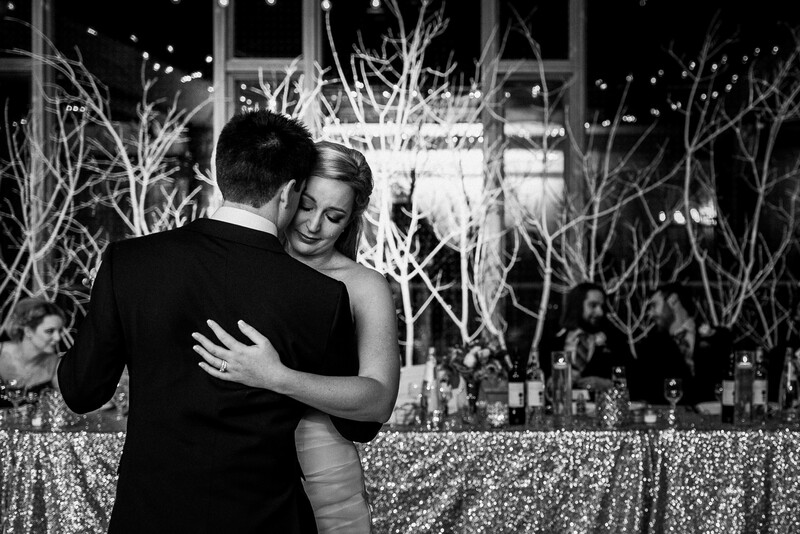 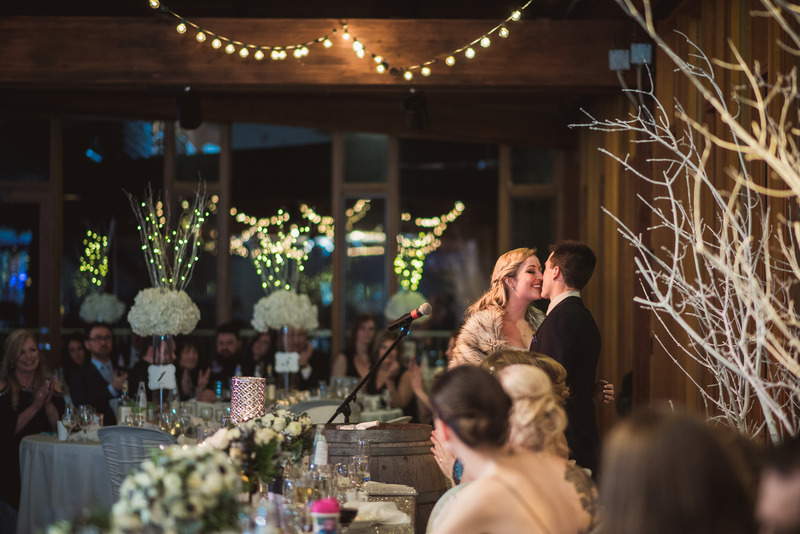 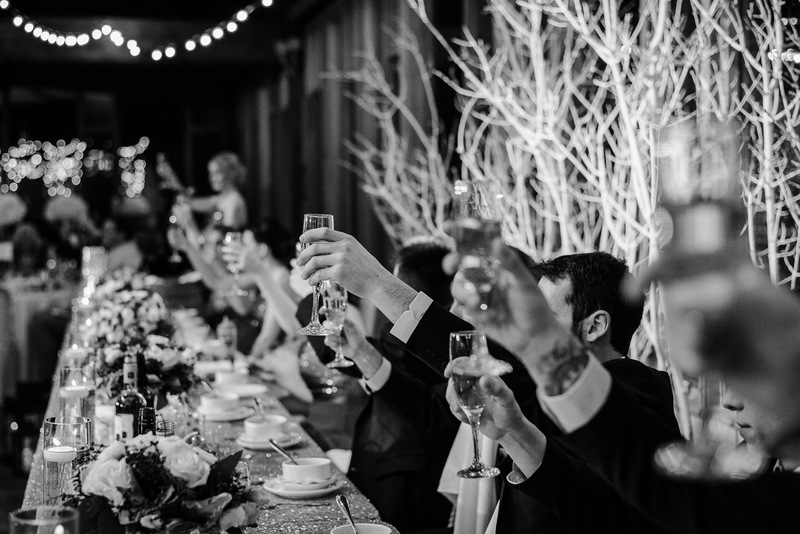 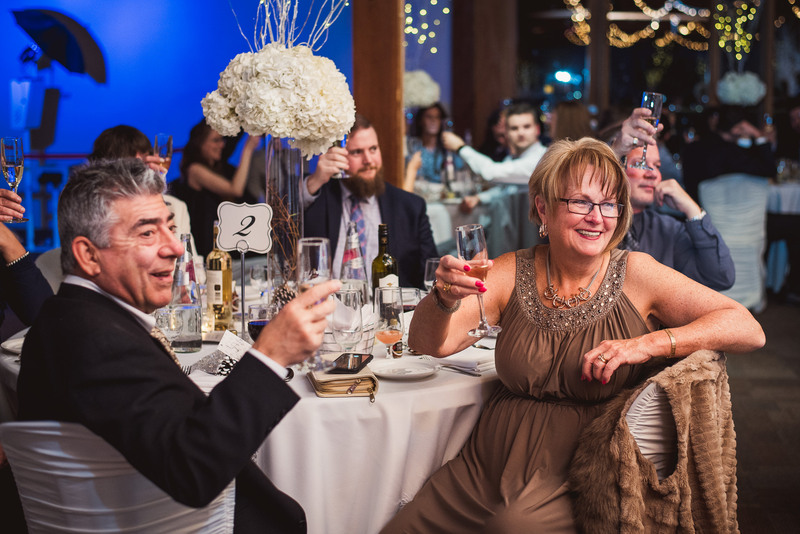 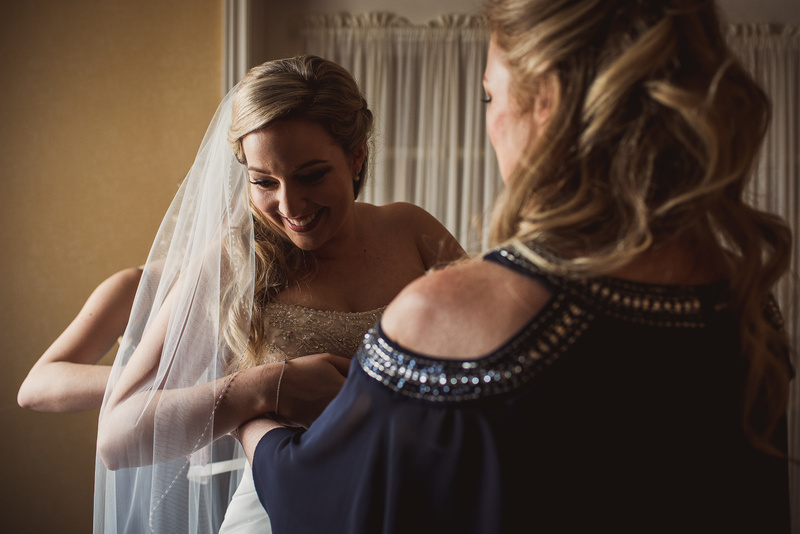 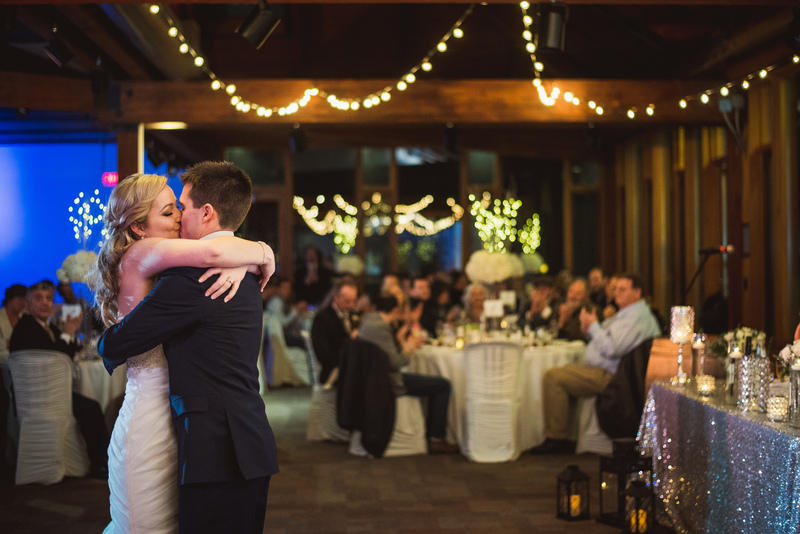 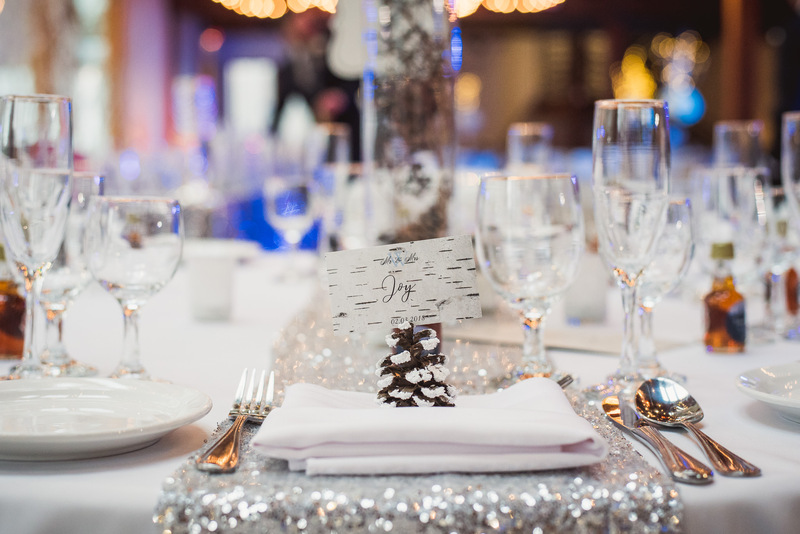 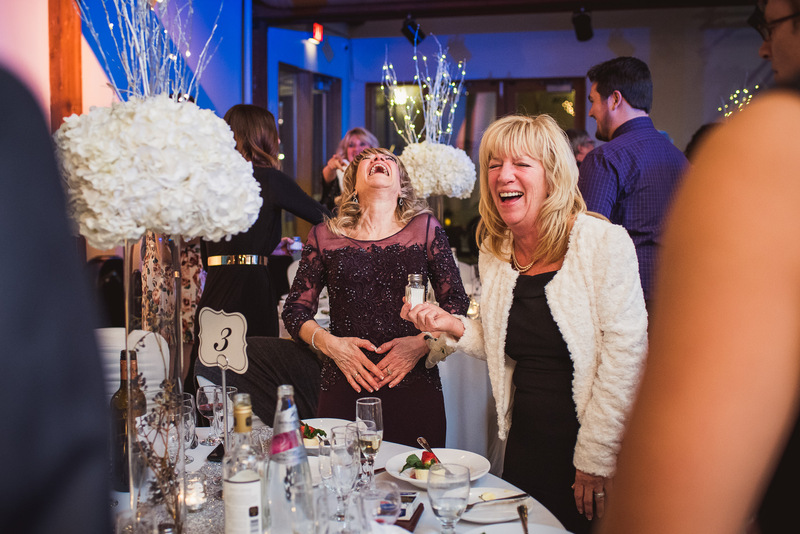 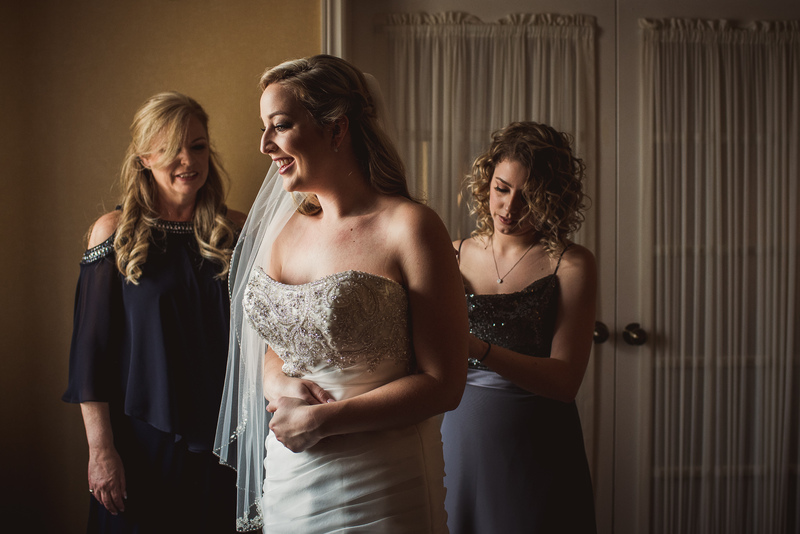 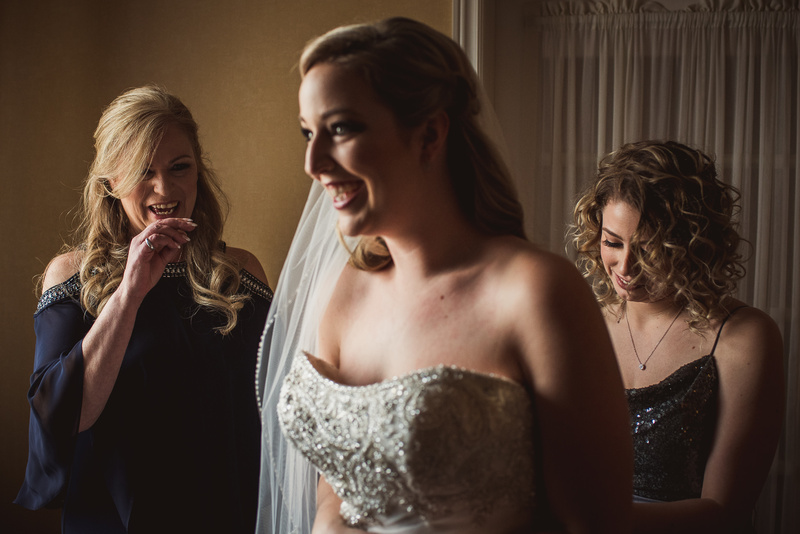 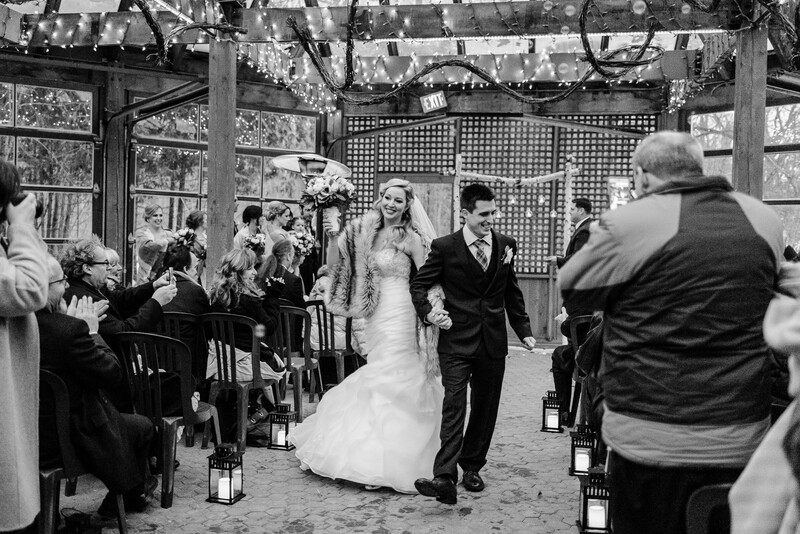 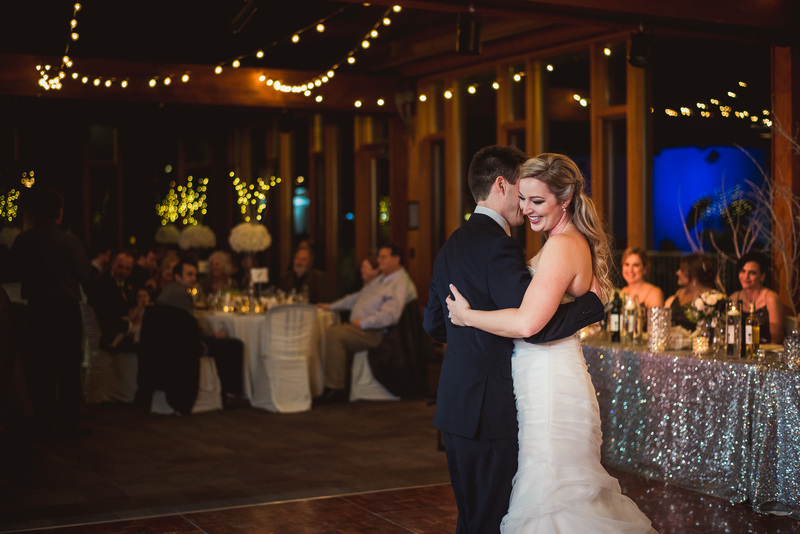 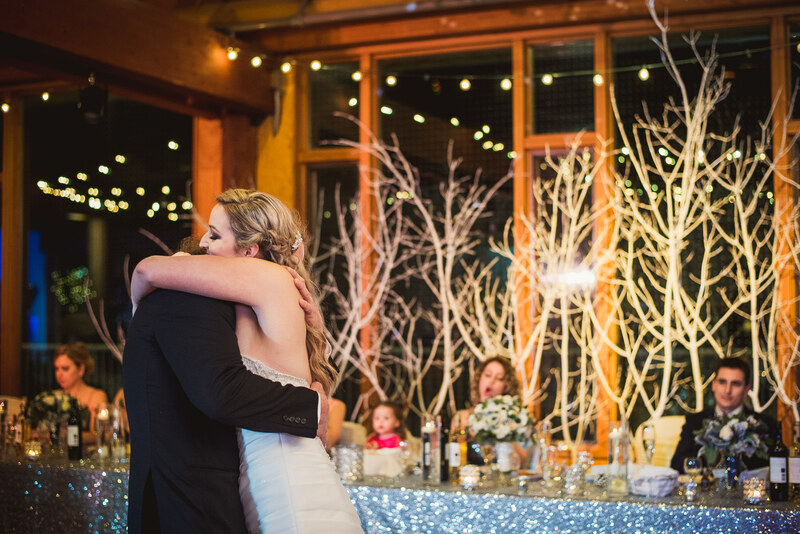 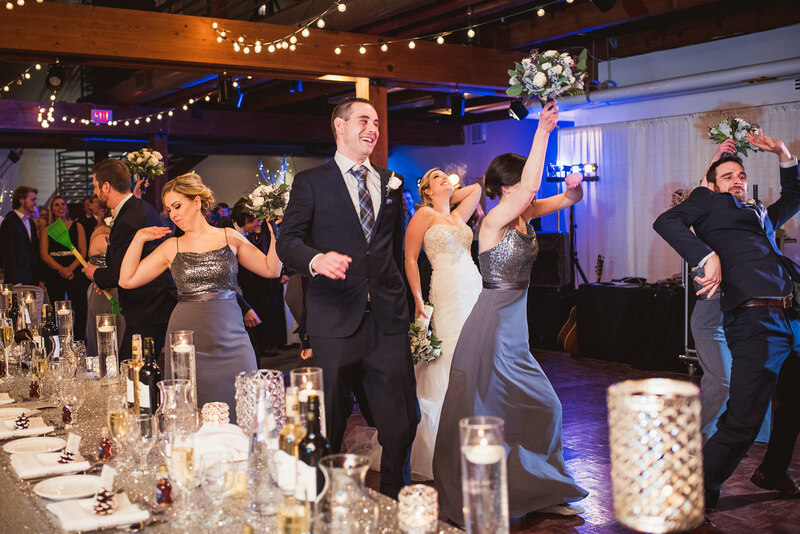 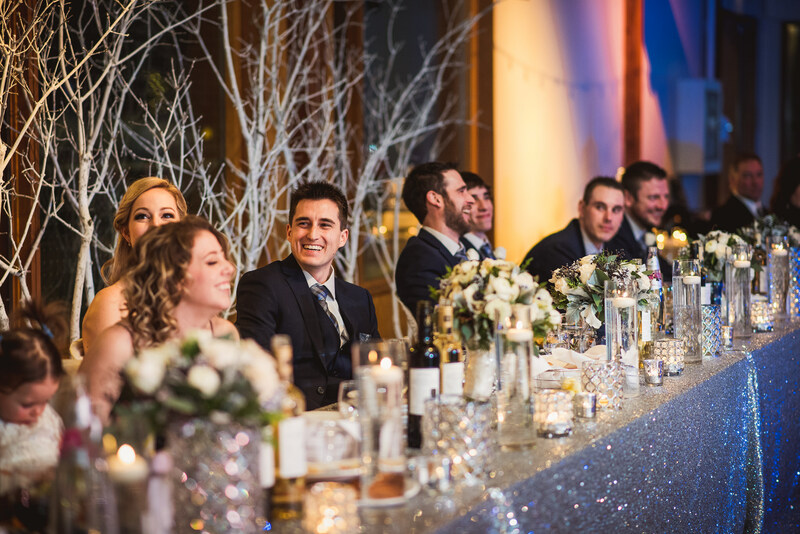 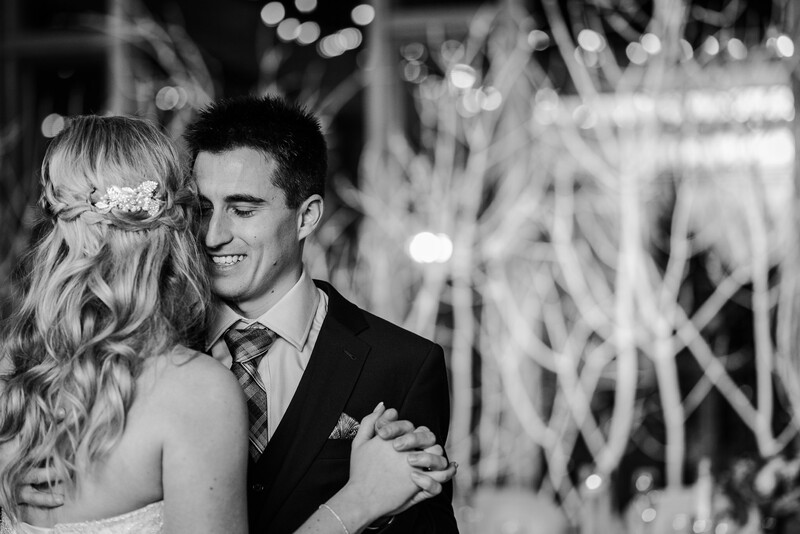 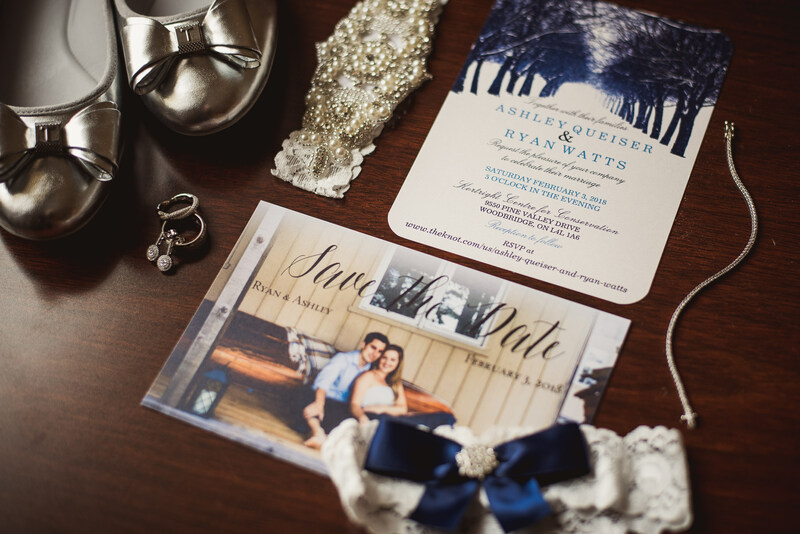 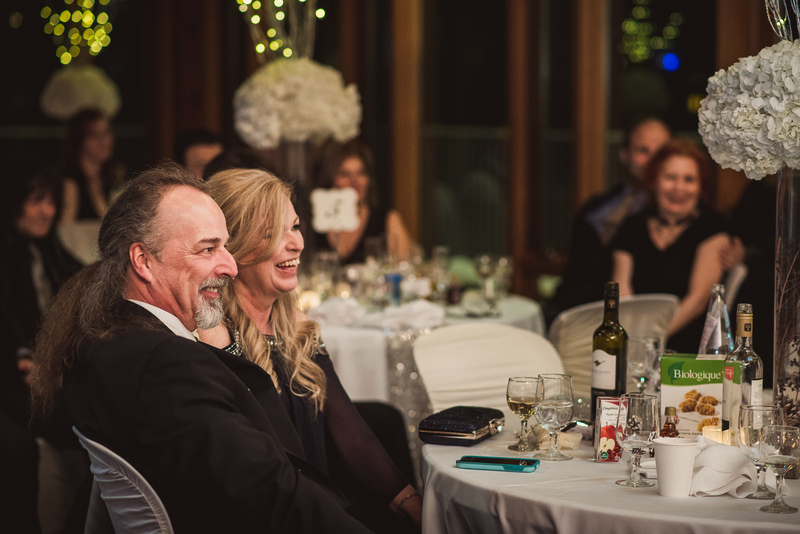 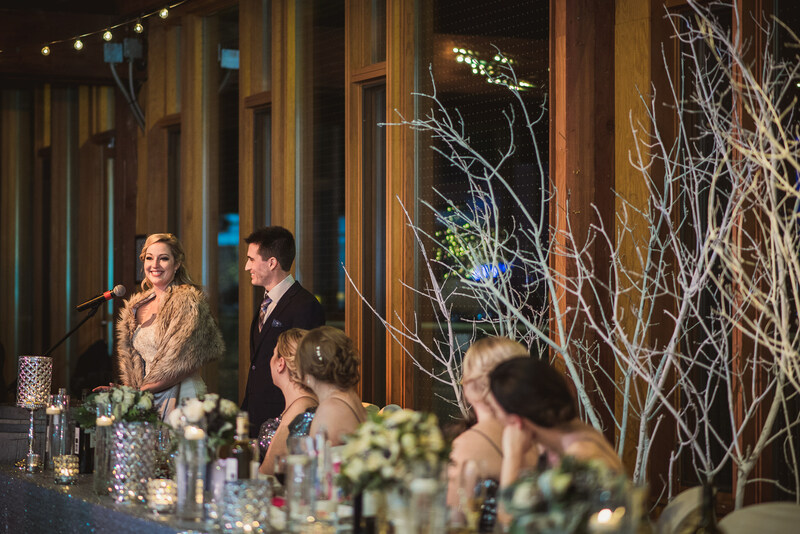 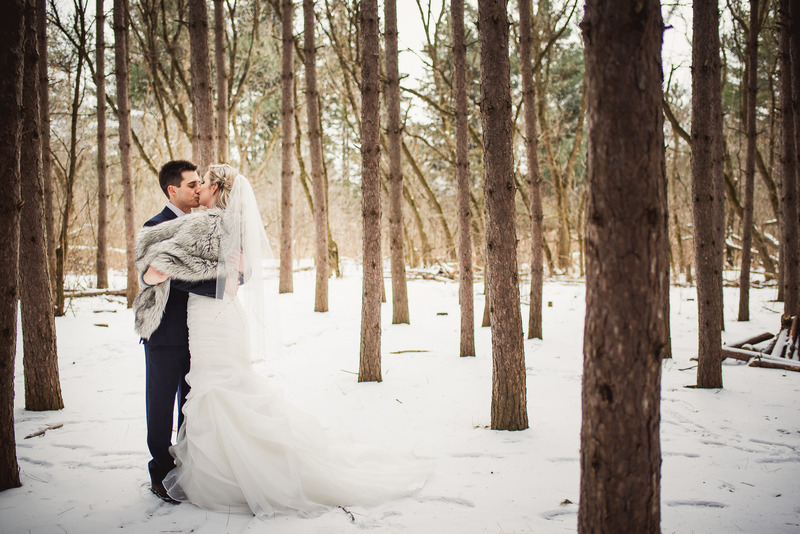 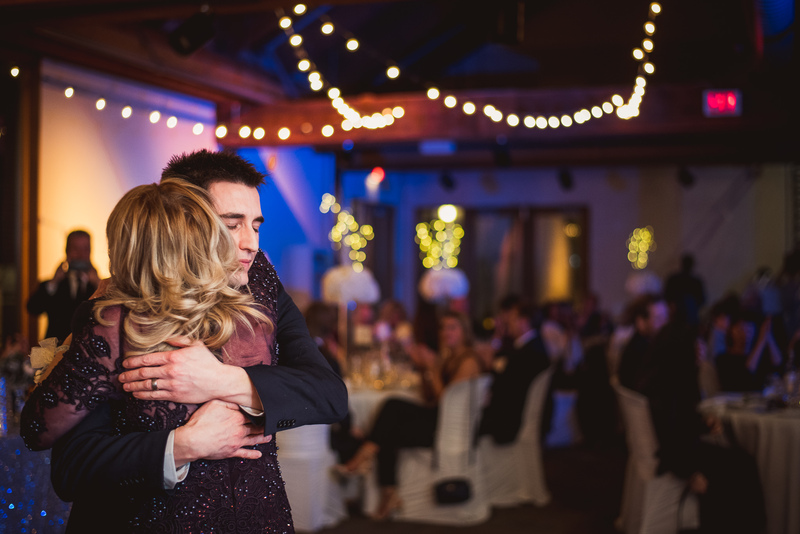 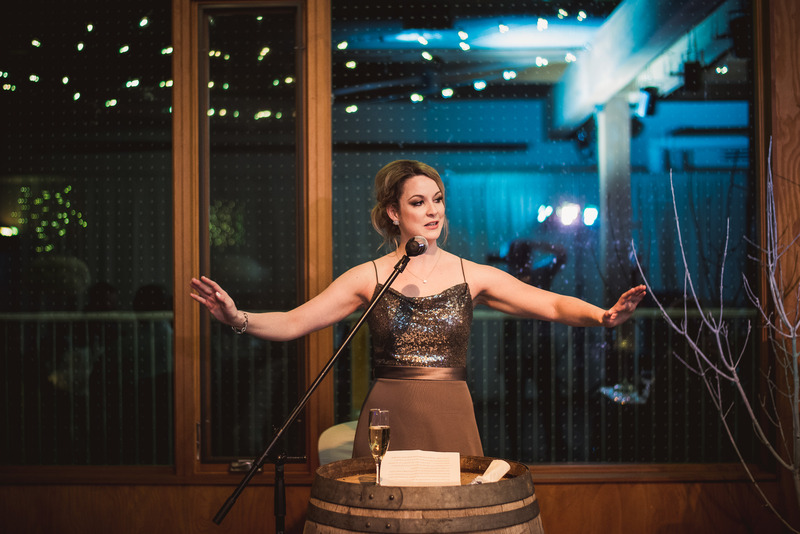 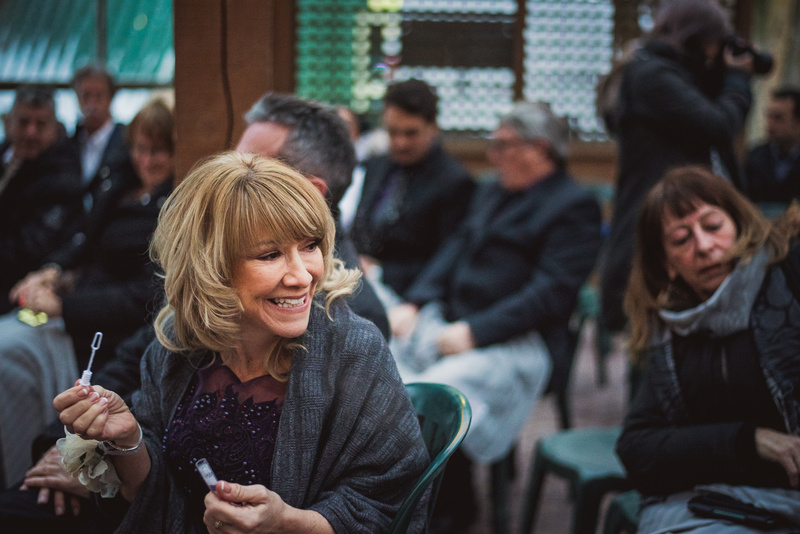 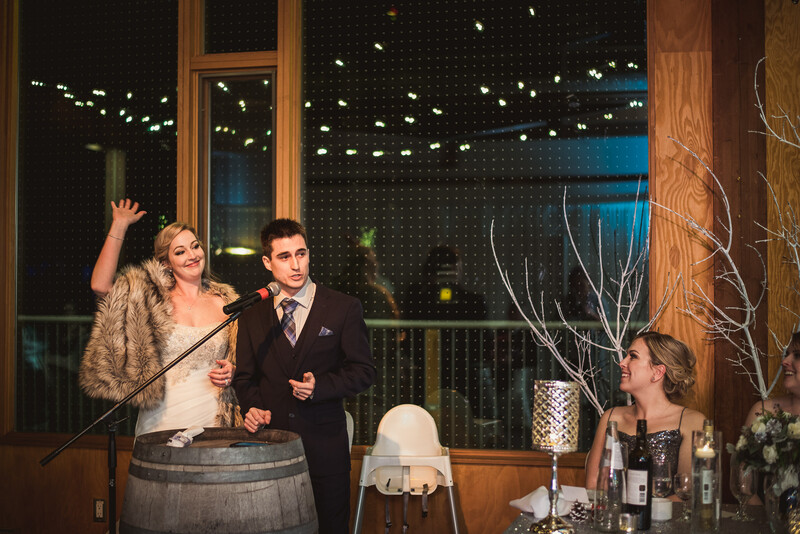 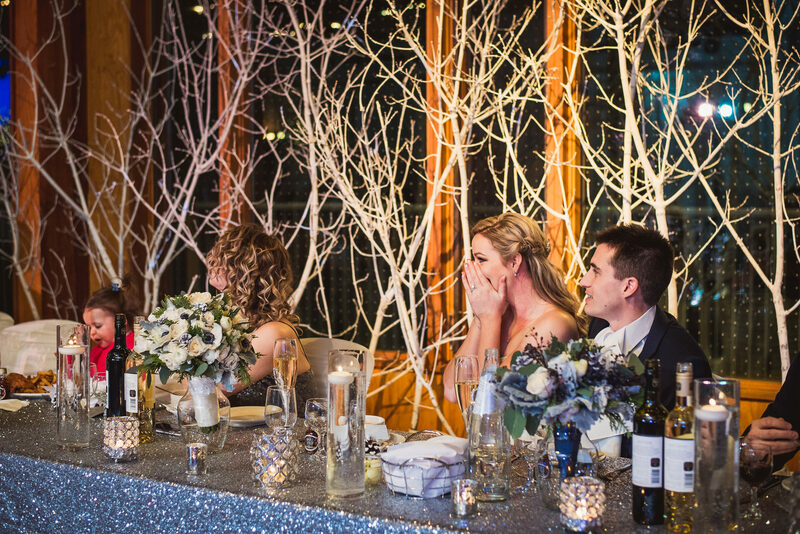 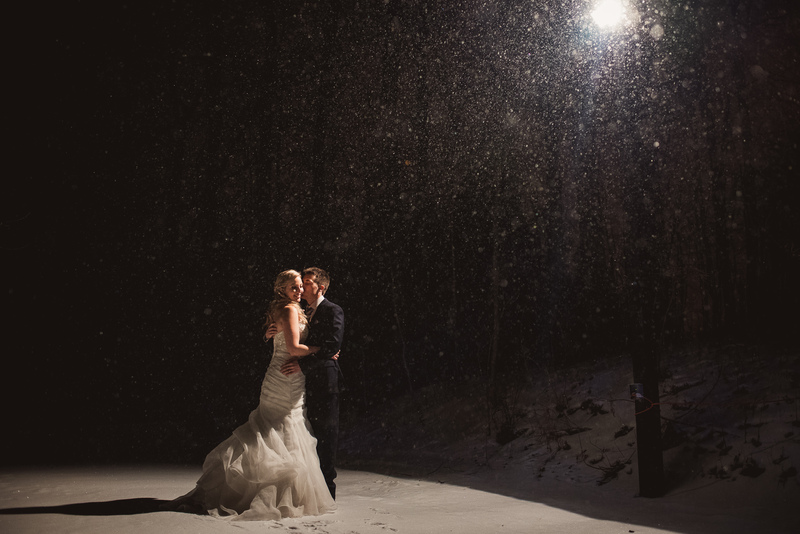 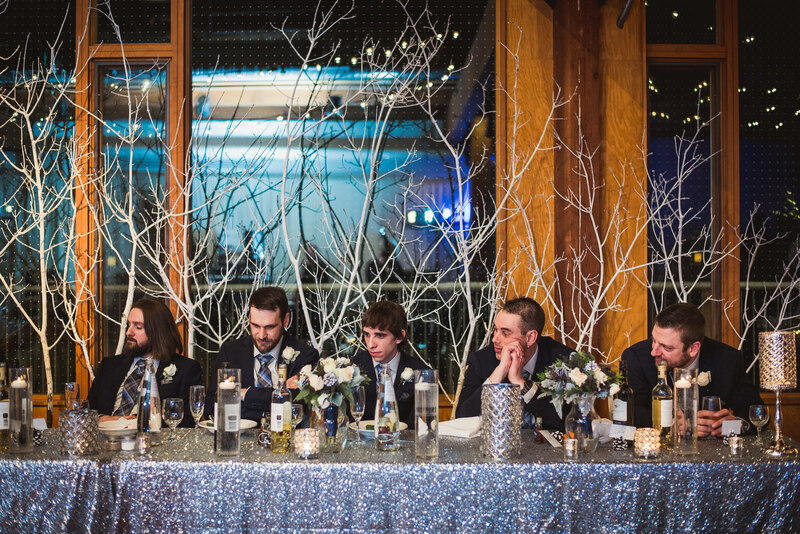 Here are some of our fave frames from Ashley + Ryan’s winter wedding at the Kortright Center. 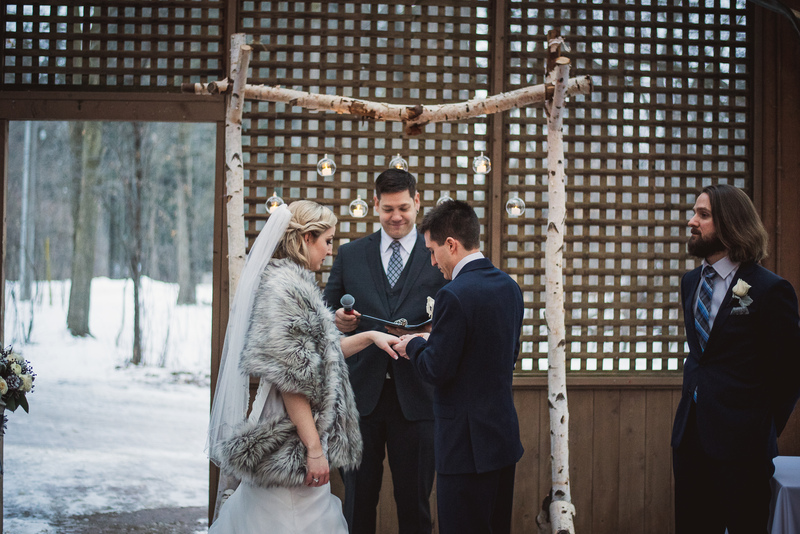 Get adequate footwear. 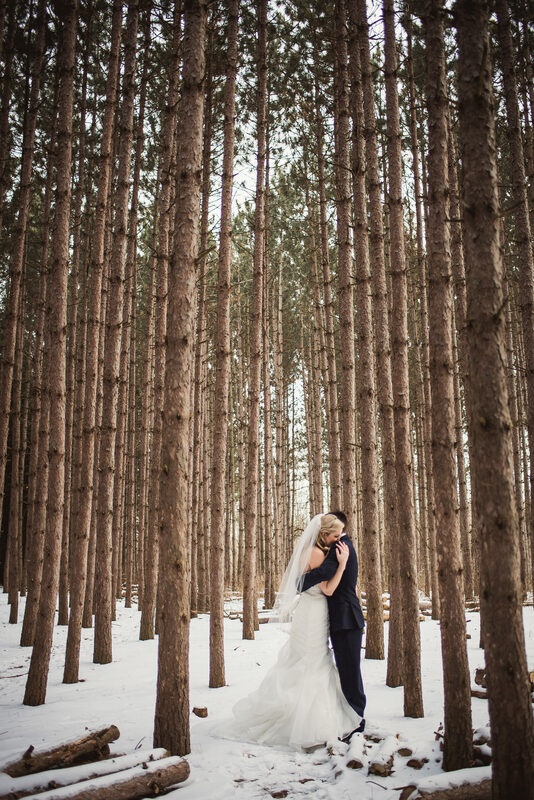 Heels aren’t going to cut it if you’re walking outdoors – do what Ashley and her girls did and get some Uggs or other cute and practical boots. 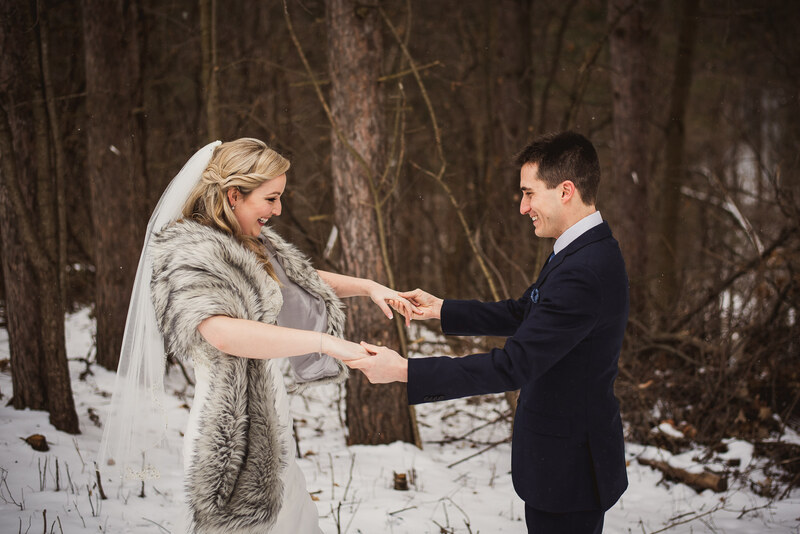 You can change into your heels when you’re inside but if trekking through snow, be practical. 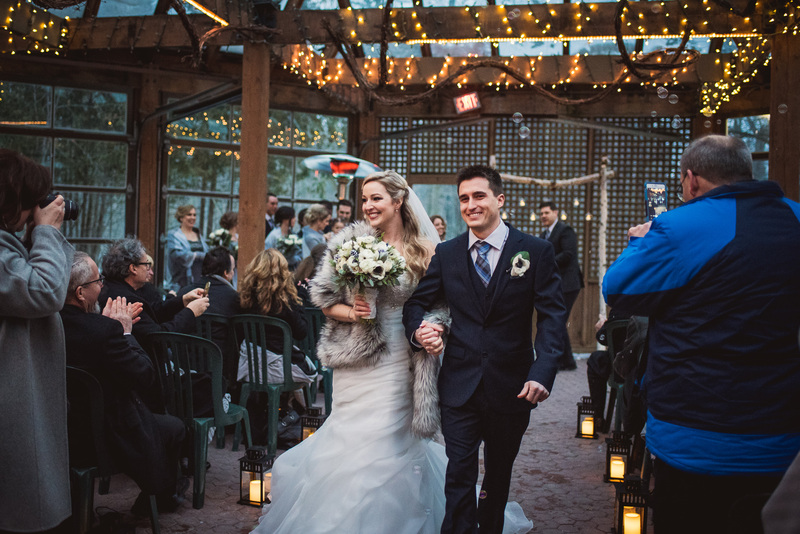 Speaking of which – make sure your florist knows that you will be OUTSIDE with your flowers. 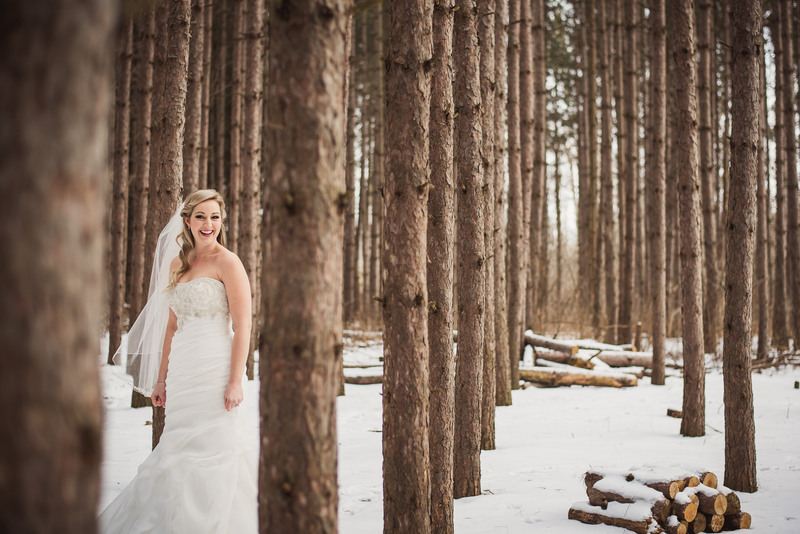 Not all flowers can hold up to these types of temperatures! 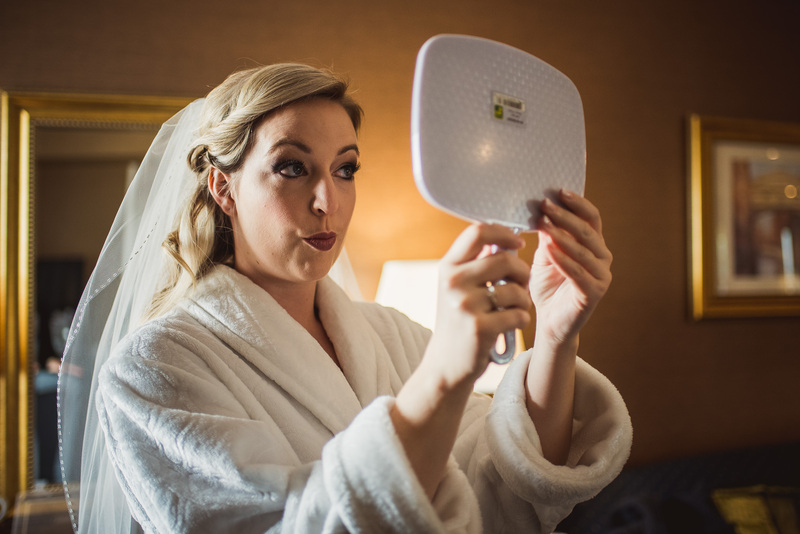 Head to camping section at your local sporting goods store and pick up some of those quick-heat hand warmers. 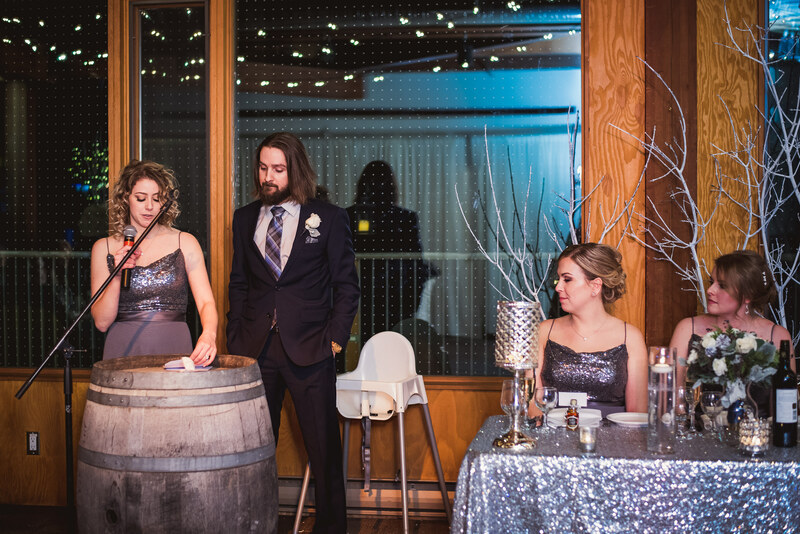 They’re little bean bags that when shaken, give off heat. 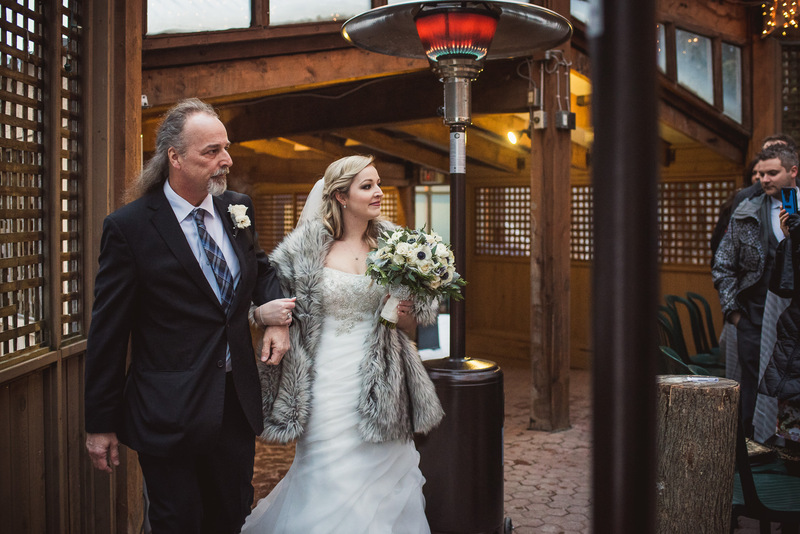 They’re amazing for the guys to keep in their pockets to help stay warm. 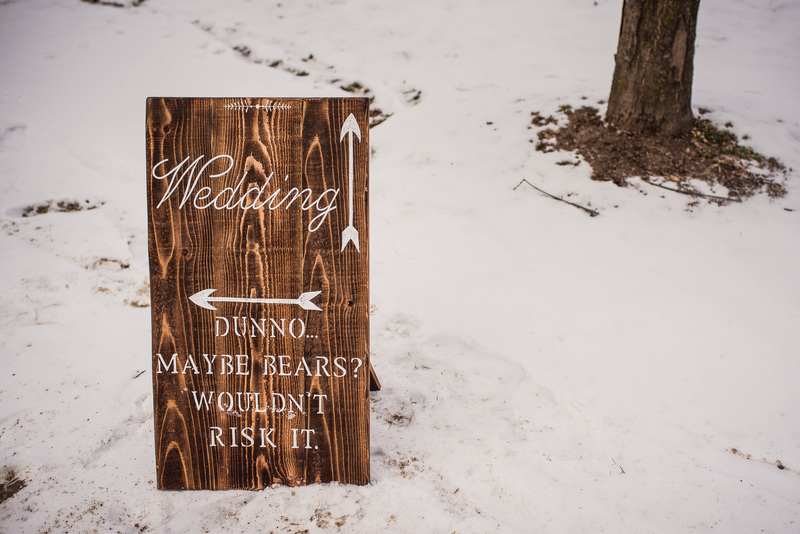 Have reasonable expectations. 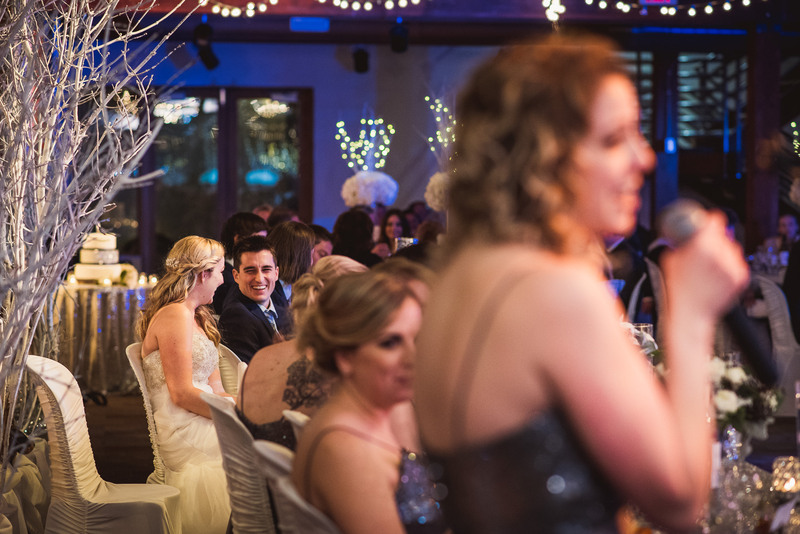 The whole wedding party in Ashley and Ryan’s wedding were AMAZING. 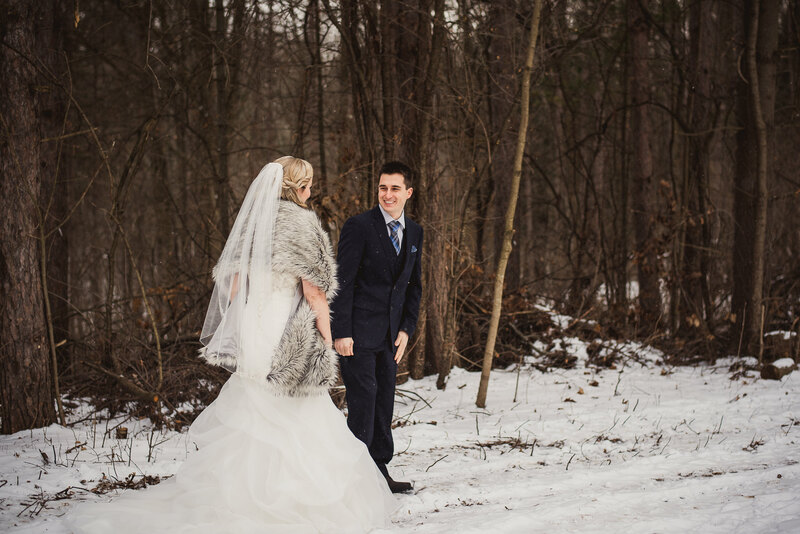 They were able to bear the cold without a single fuss. 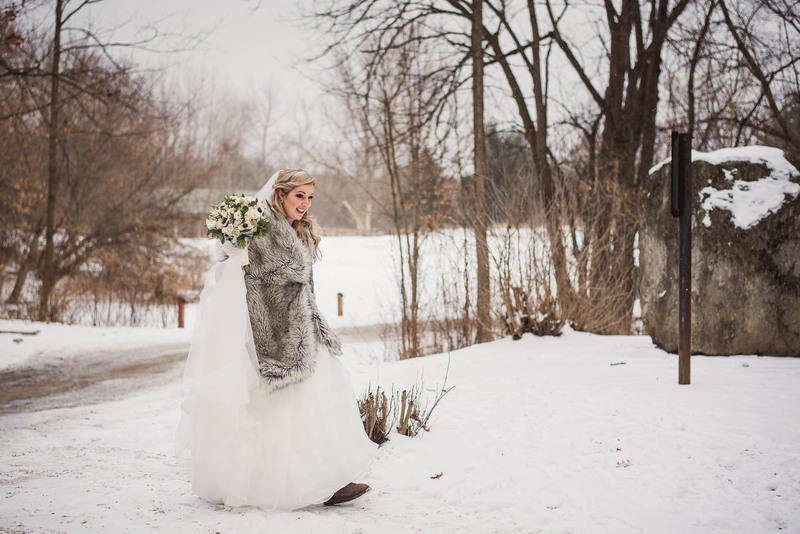 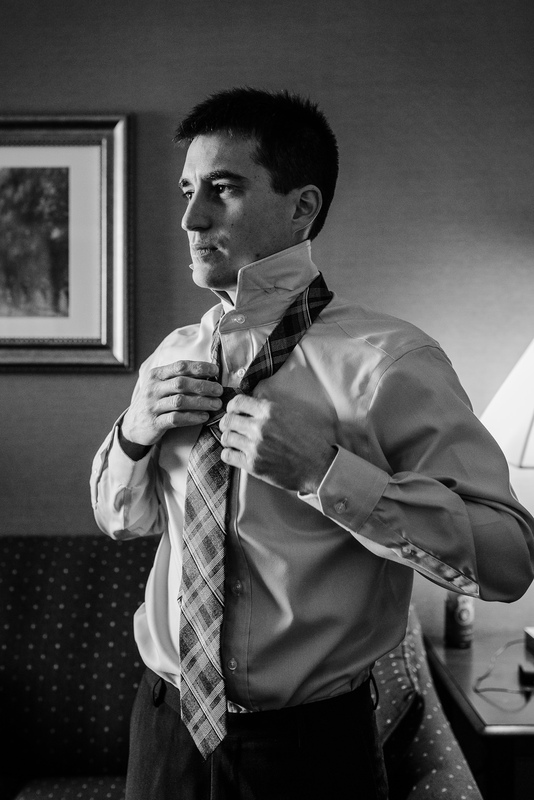 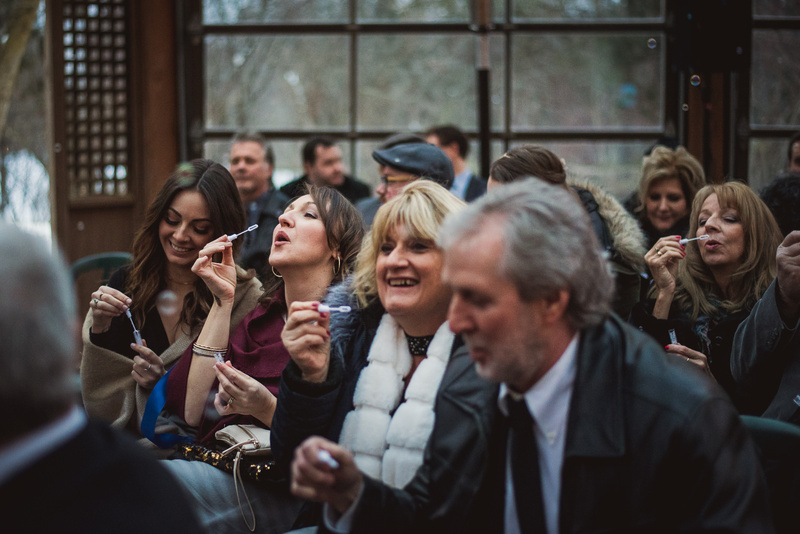 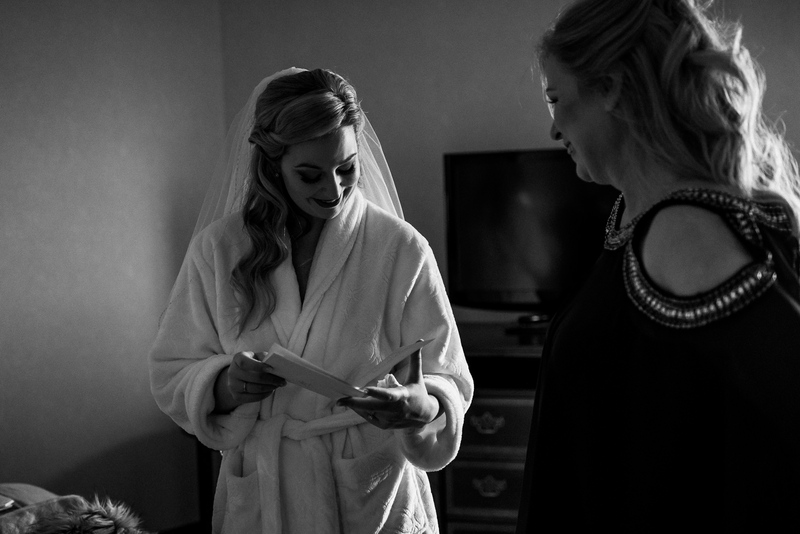 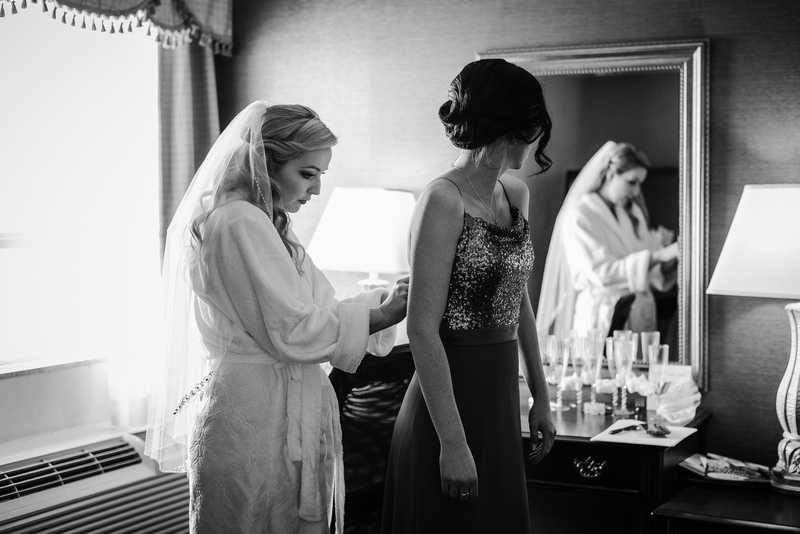 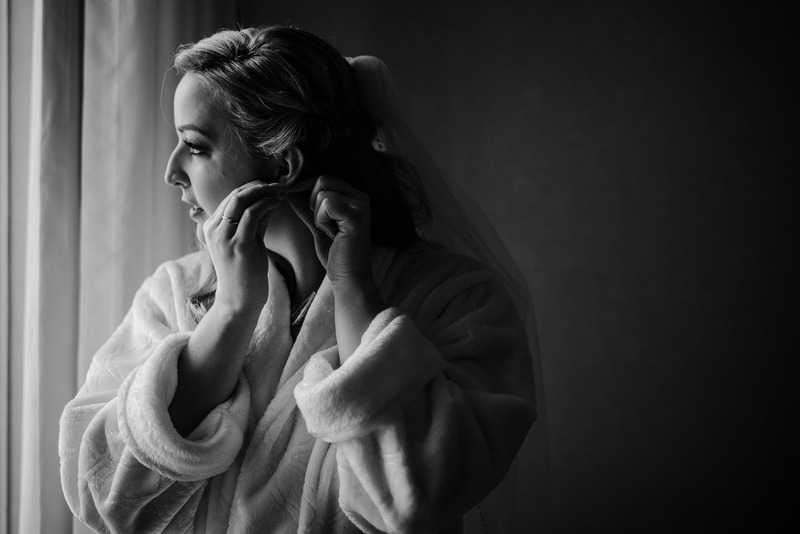 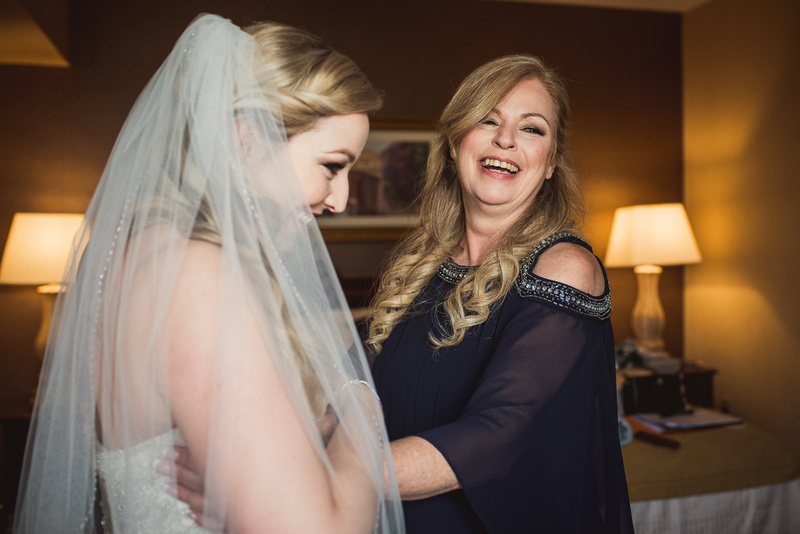 Not everyone can tolerate cold that well, though, so make sure that you communicate clearly with your bridal party what the expectations are so that come the wedding day there’s no fussing about temperature or outdoor photos.